The Amazing Race is somewhat of a different type of competition. In past years, one of the challenges was the game Operation. The Amazing Race is a different type of competition. In past years, one of the challenges involved a gurney. A fundraiser for the Southern Ohio Medical Center Development Foundation Community Health and Wellness Fund, the fourth annual Amazing Race takes place at various locations around Portsmouth on Saturday. The winning team of up to four members will take home the top prize of $2,500. The Amazing Race is somewhat of a different type of competition. This year’s event has six key sponsors, including Glockner’s Auto, area dentist Amy Heim, Shawnee State University and the Schmidt Family Restaurants, which include a local Wendy’s and the Portsmouth BW3 location. Contestants will face different challenges at the location of each of the sponsors, says Brad Zieber, manager of performance training for SOMC. For now, Zieber adds the specific challenges are being kept hush-hush. But previous years can give some clues as to what Amazing Race teams may be facing. For example, in the past, at Glockner’s, teams had to change a tire as quickly as possible. 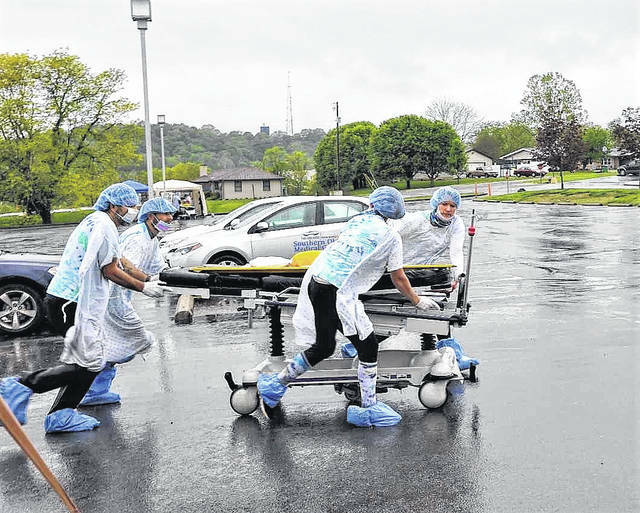 At SOMC, participants needed to find medical supplies to aid phony patients. Judging from a video on the SOMC website, one challenge also included lassoing some plastic pink flamingos floating in a pool. Another challenge looked a lot like a game of beer pong, presumably minus the alcohol. Teams are timed at each challenge, with the best overall time determining the winner. The second-place team will take home a $1,500 prize, while third place earns $1,000. Zieber says prizes will be awarded at a post-race gathering at BW3, where last year’s challenge was to identify different wing sauces. “Every year the challenges are different. 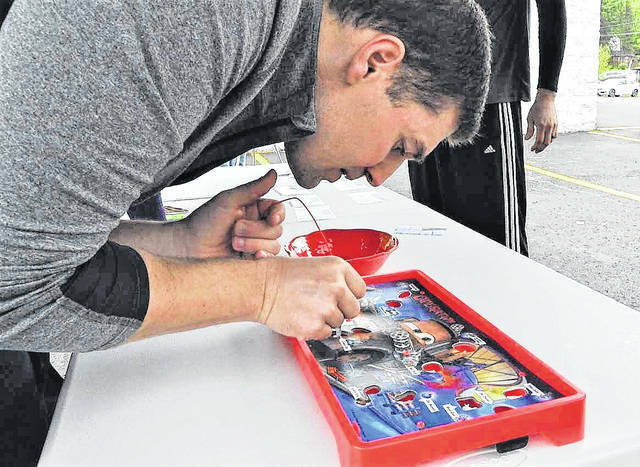 It’s just a lot of fun,” Zieber continues, adding the event attracts numerous repeat contestants year after year. He notes that members of one team last year showed up wearing tutus. There are various other awards given in addition to the cash prizes. Zieber says the real reason for the race is not just to have fun, but, obviously, to raise money for SOMC’s Development Fund. Money raised has helped such projects as renovating a local park. “We always try to pick something that will help people get out and get healthy,” Zieber says. While the Amazing Race moves around to the various sponsor locations, the starting point is the SOMC LIFE Center Gym, 1202 18th Street, Portsmouth. A staggered start begins at 8 a.m. Saturday. https://www.portsmouth-dailytimes.com/wp-content/uploads/sites/28/2018/04/web1_Amazing-Race-1.jpgThe Amazing Race is somewhat of a different type of competition. In past years, one of the challenges was the game Operation. https://www.portsmouth-dailytimes.com/wp-content/uploads/sites/28/2018/04/web1_Amazing-Race-2.jpgThe Amazing Race is a different type of competition. In past years, one of the challenges involved a gurney.